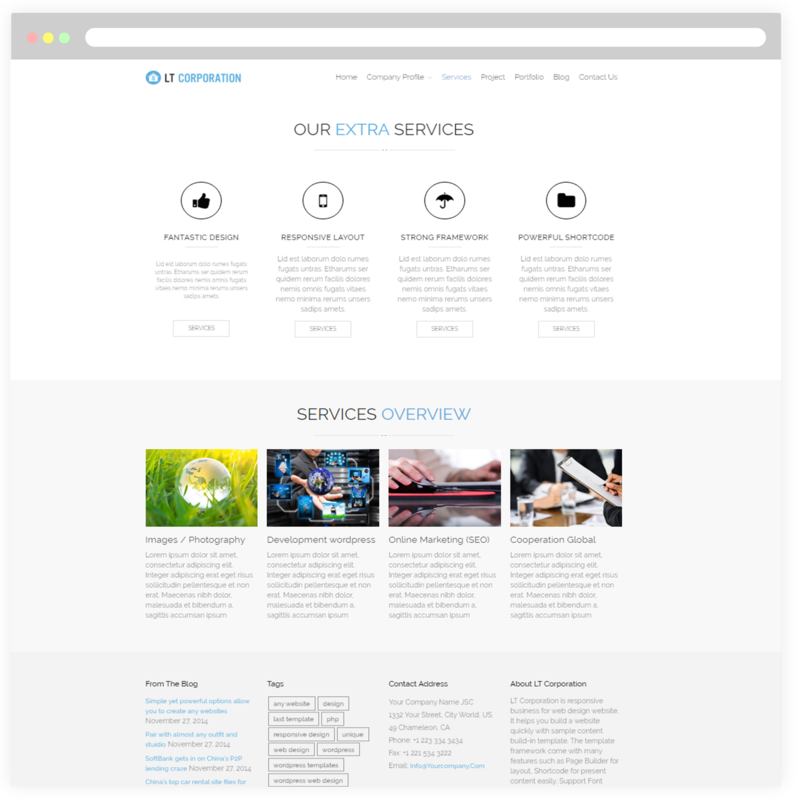 Give your business website a new attractive appearance and make it well-known to more clients with Corporation WordPress theme! 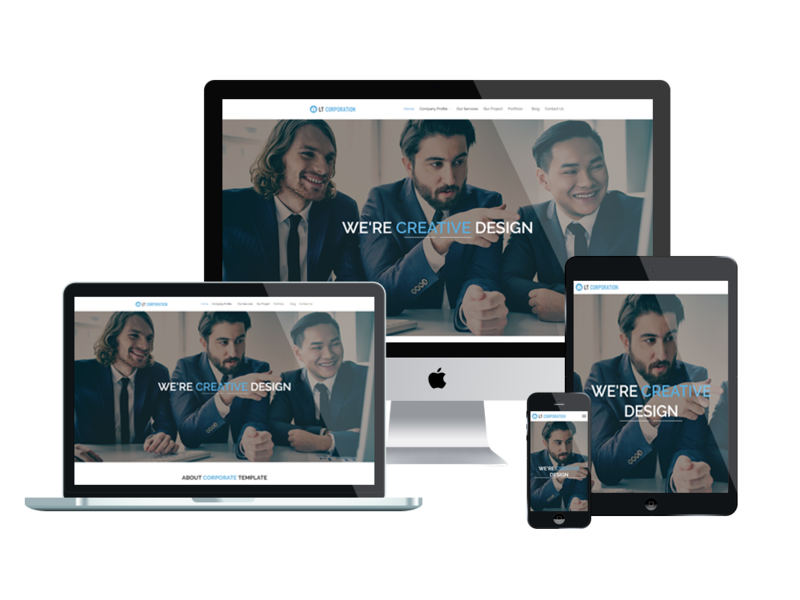 LT Corporation is Free Responsive WordPress theme with modern and professional-looking for showcasing business, portfolios, web apps, photographers, or general company site. 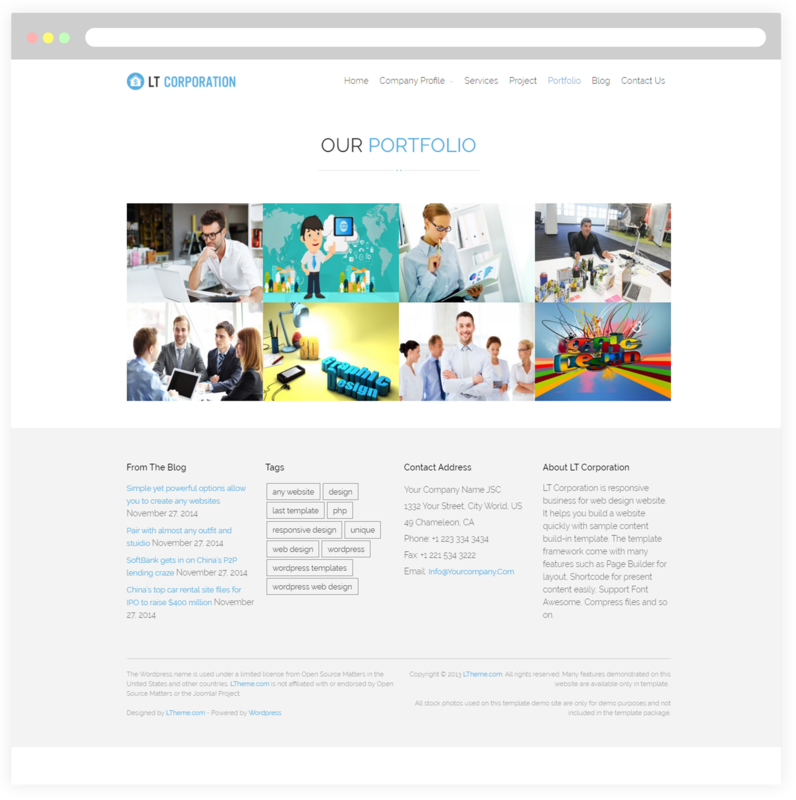 This template has been fully equipped with useful functions to promote your company projects and services efficiently. 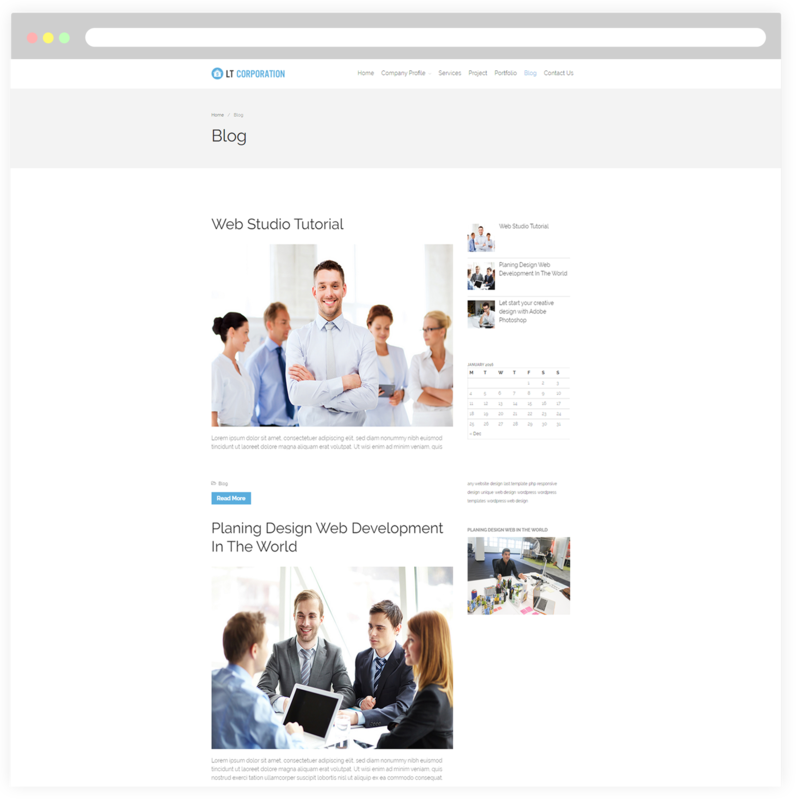 Being supported with full responsiveness, your site will display with no problem on any kind of mobile devices in clean and stylish layout. 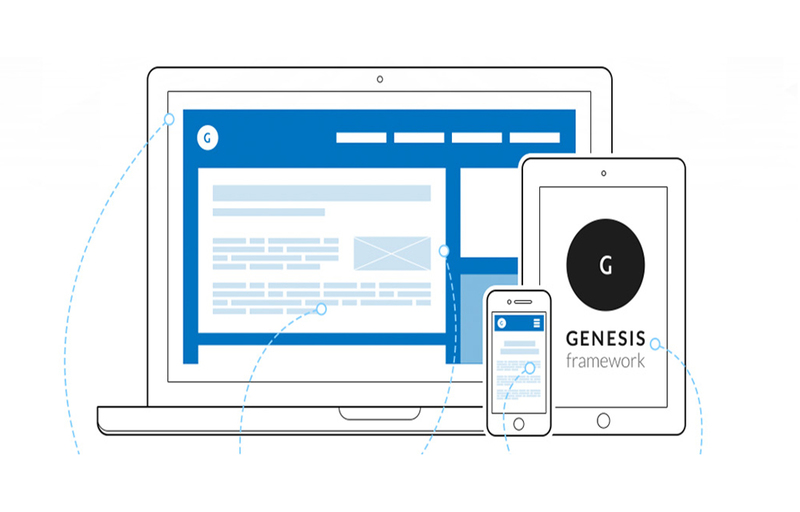 Besides, LT Corporation framework is also integrated with many features: strong shortcodes for showing content easily, as well as drag-drop layout content and Bootstrap CSS & Genesis framework. 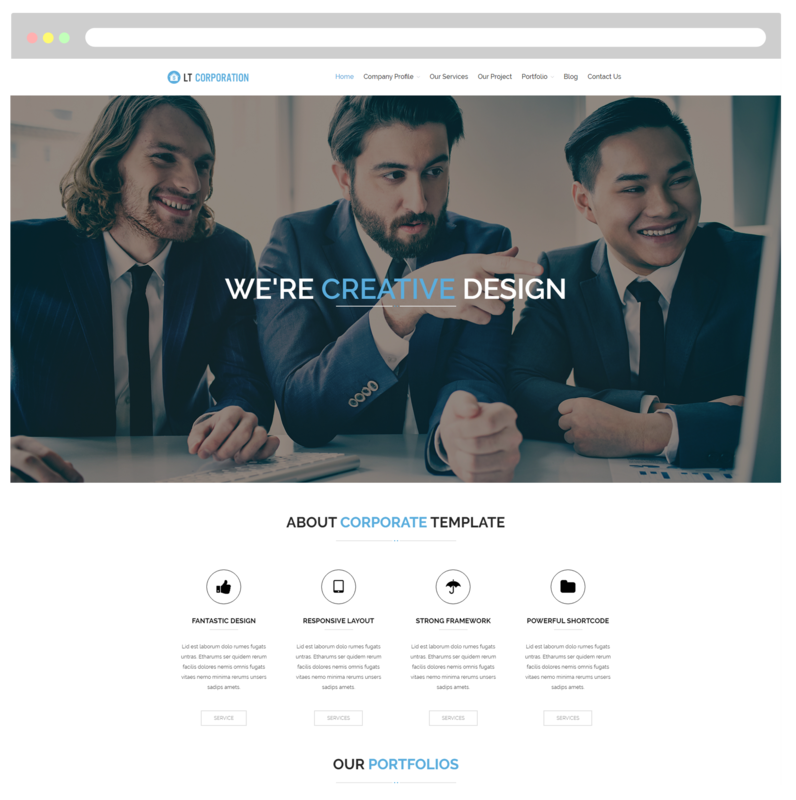 Notably, you can create awesome appearance for your website with various layouts with the support of unlimited colors and color picker from admin panel! Come and take a look at Live Demo now! 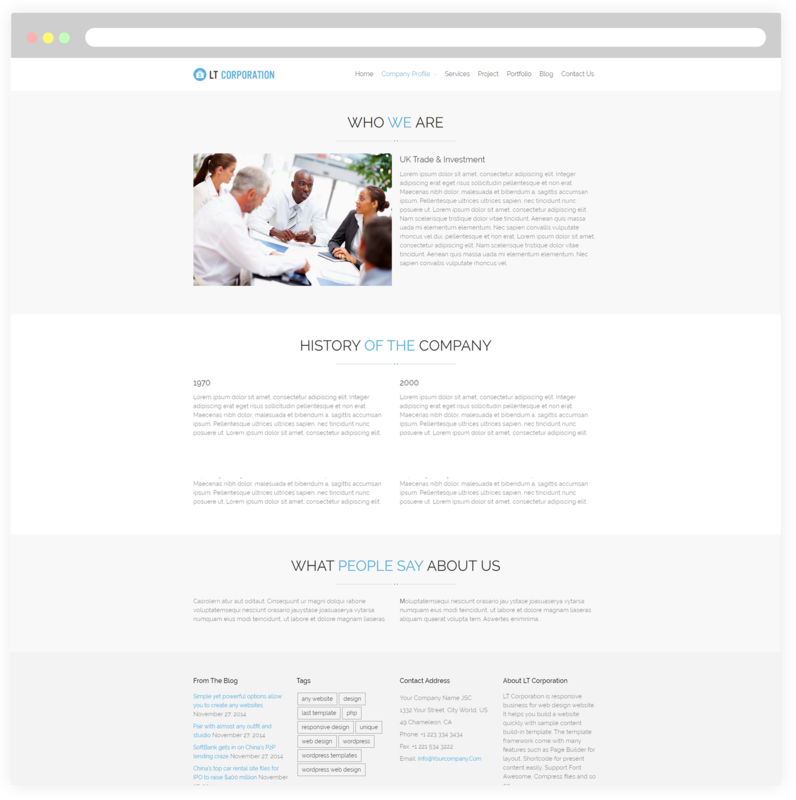 This page will help customers learn more detailed information regarding Trade & Investment, the company’s business organizations as well as its history. 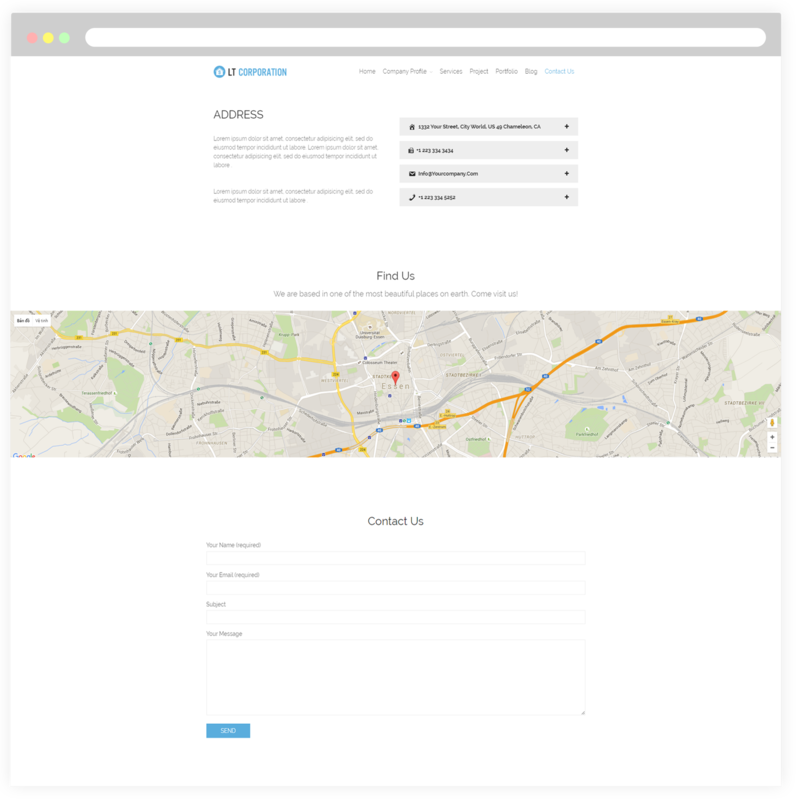 Besides, customers can also refer more feedback from partners toward the work process of your company.